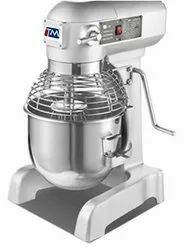 Our product range includes a wide range of food mixer, dough mixer, 5l planetary mixer, bakery mixer and maida and cake mixture machine. 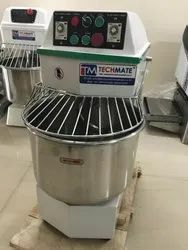 Techmate Offer to its client the best Food Mixer, Planetary Mixer to our clients. With CE approved. Package: bubble + strong carton box. Belt and gear box is Made In Japan. 6. 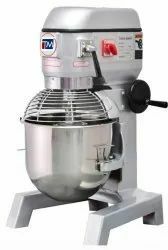 With mixing, beating eggs, cream and stuffing function.7.With emergency stop button. 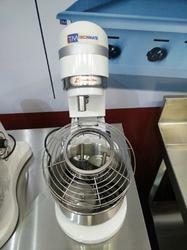 A. hook(low speed): suitable for mixing high viscosity food, add water 45%-50%. 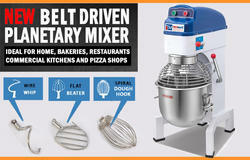 B. beat (medium speed): applies to stir a powder, a paste such as stuffing in a medium viscosity diet.C.whisk(high speed): suitable for low viscosity liquid food such as fresh milk and eggs.